Sometimes things come into my garage and take a LONG time to get made over. Indecision is often the reason (paint colour, style, purpose etc etc), but other times something comes in and I have it painted and finished in 24 hours because I just know. This was one of those. The distressing came out so well, I'm really happy with it :) Don't you love it when thinks just work out right? 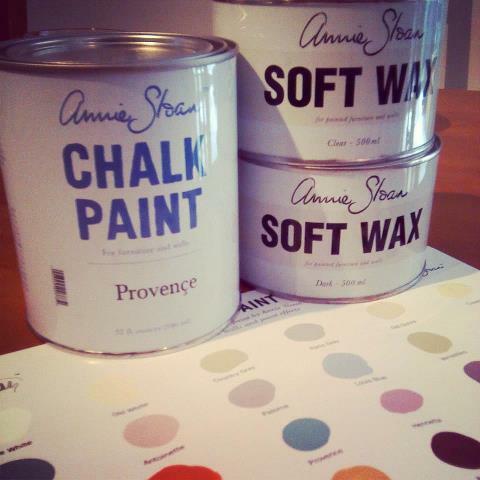 If you've been wondering, I was devastated to come home on Friday to find that the delivery driver had been to deliver my first ever Annie Sloan Chalk Paint but as I wasn't home, took it away again. ARGH!!! I frantically called, offered to come to the depot, met the driver somewhere, anything, but unfortunately nothing would work. Thank goodness, it arrived today!! I love the colour chart, so nice to have the colours right here in front of me. I'm really loving all the blues... but first things first! So can you guess what I'll be trying out this week? I've never painted anything red (not sure why!) and this little piece can take the bold colour well!! Turned out fab! I'm so jealous!! I haven't heard anymore so I'm probs not getting any! Have fun with it and I cannot wait to hear what you think if it!! super cute! i can see i in a kids room with books on the shelf and a basket of toy underneath! that's so funny I can just imagine the feeling you had having to wait the entire weekend for your parcel....excrutiating!!!! hi Catherine - i was thinking the same thing today about how some thing sit for months in my carport while i decide that to do (or get the courage up) while others can get painted immediately - today I picked up a little cabinet and had started painting it within 10 minutes of getting it home and finished it a few hours later. glad your paint arrived - I actually just caught the courier when they came with mine. I literately was walking down the street and saw the guy pull up in front of my place so i hightailed it back home. It looks fabulous! 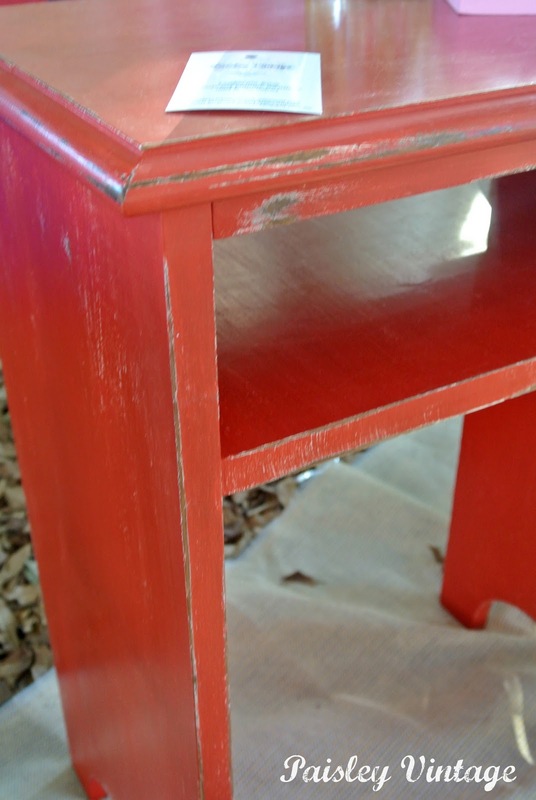 Looking forward to your take on the chalk paint! 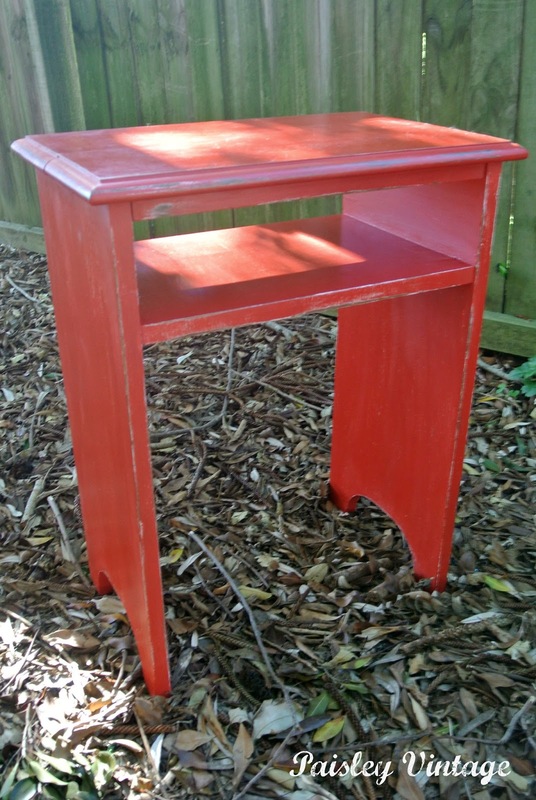 That is the cutest little table... love it painted red. I'm featuring it in the PoPP Spotlight this week. Thanks for linking up. I too have the same situation. Several, and I mean several, pieces sitting waiting for the spark of an idea to hit me as to what to do with it. So the garage, patio and my Dad's garage (told you several) is full if pieces waiting for their opening nite. Now I know it is just paint. And it can be changed. But why do it twice. Heck I'm not even up to once. So the weather has changed and I look forward to starting one, some, many projects. And I have used red before and I love it! Looking to see more projects. Thanks for the inspiration to get up and get started! !